SACRAMENTO, Calif. - Jan. 21, 2019 - PRLog -- Legal Services of Northern California (LSNC) presents its 16th Annual Valentine Run/Walk – Race for Justice on Saturday, February 9, 2019. The event takes place behind the Country Club Plaza Mall located at 2310 Watt Avenue, Sacramento, CA 95825. This classic Sacramento event kicks off with a kids' fun run, followed by the featured events: a 4-mile timed race and 1.8-mile untimed race in the picturesque Arden Park neighborhood. The Race attracts the area's elite runners as well as families and participants of all ages and abilities. Known as one of the region's most accessible races, the event is wheelchair, stroller, and dog friendly. Child care with bounce houses and other kid's activities is available for $5.00 per child. After the main race, participants are treated to breakfast snacks, entertainment, and a festive award ceremony. For this 2019 race, LSNC proudly inaugurates one of the region's first non-binary, general inclusive race medals, in addition to those being awarded to male/female runners from various age groups. Special plaques will also be given for the fastest attorneys and the coveted "best dressed" awards for racers (and dogs) wearing their hearts and showing Valentine love! The event raises critical funding and support for LSNC's client services, which provides civil legal aid to more than 500,000 northern California residents on housing preservation/evictions, access to healthcare, public benefits, consumer protections, and civil rights. Responding to this year's wildfires, LSNC also provides client services at Disaster Relief/Recovery Centers, assisting disaster victims with FEMA benefits, expedited unemployment benefits, and other relief/recovery resources. Apart from fundraising, this event focuses on the importance of fitness and health. All race participants get to enjoy complimentary breakfast snacks, commemorative t-shirts and online access to downloadable finish line photos! Individuals can register as a virtual runner if they would like to support LSNC but cannot attend the race. To encourage fitness for the whole family, LSNC proudly offers discounted family-pack pricing. 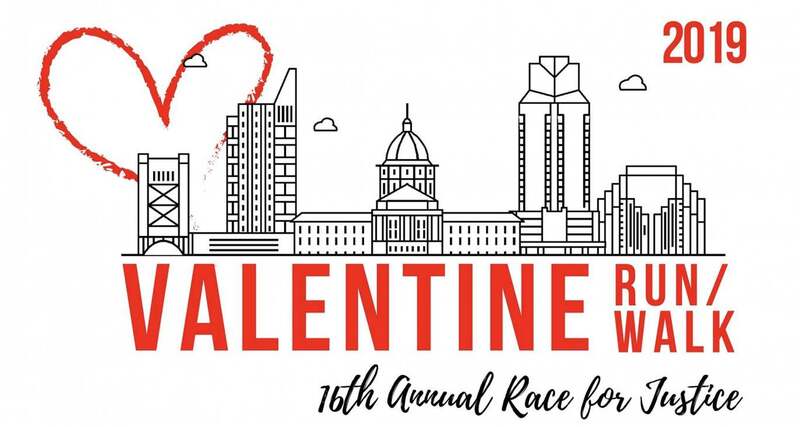 Registration is available on the new race website: http://www.valentine.run. Legal Services of Northern California offers civil legal aid to thousands of low income and vulnerable individuals and families with legal issues that include housing preservation, health care access, public benefits, consumer protections, and civil rights. In 2017, LSNC gave assistance to 20,060 cases in its 23 county service area. LSNC is a registered 501(c)3 nonprofit organization and program of the Legal Services Corporation. For more information about LSNC and/or legal resources, please visit its website at http://www.lsnc.net.